The makers of this movie should remove the ‘Kar‘ from the name of the movie and rename it ‘zzzz‘. The very intention of this movie is not a tribute to the original but to cash in on the original but to cash in on Himesh’s popularity. 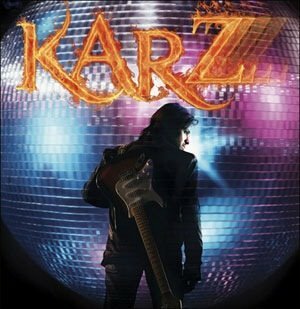 Karzzz is a remake of Rishi Kapoor, Tina Munim, Simi Garewal starrer. When you remake a film, at least ensure that the characters are likeable. How on earth can u think of Himesh Reshammiya as a 25 year old pop star when you have already had enough of his ranting on reality television ?Newcomer Shweta Kumar has no clue about what is going on around her,which is good because I donot think she would have signed up for the film otherwise. Urmila Matondkar as the 50 something vamp gives ‘over the top’ a redefinition. Her golden,shiny pants, her constant frowning and twitching. i have a hunch she charged money for 3 actors for all the overacting she has done in the movie.Finally, Himesh Reshamiya seems earnest and eager to make the film work. His new look and hair donot help the cause much as the film is a colossal exercise in absurdity. The earlier Karz wasn’t pathbreaking cinema but the characters especially Rishi Kapoor had the panache to carry the film on their shoulders. This Karzzz doesn’t have that. Finally, the original had fabulous music. The only decent song in this one, ‘Ek Hasina Thi‘, is a rip-off of the original one so zero marks for the music too. Satish Kaushik had made on of my worst movies, ‘Badhai Ho Badhai‘ and he comes close to surpassing his earlier efforts with this one. Watch it if you re a die hard fan of Himesh, otherwise watch the original. It’s much, much better. This entry was posted in Review on November 1, 2008 by . If you are into reviewing movies, Hello is the kind of movie that you love, for different reasons altogether. It’s so bad in all aspects, and so sublime in its badness, u cant resist going all out at it. Here’s a bit of trivia. The book is based n the novel “One night at the call center”. Chetan Bhagat is not a literary genius, but to his credit, he has u hooked. I’d never go to watch a movie that stars Salman Khan, Sohail Khan and Amrita Arora, but I did it only when I learnt that Chetan Bhagat was doing the screenplay. Sadly, Hello is a disaster. The only good thing about watching the movie is that I get to review it, and I have a broader canvas, if you know what I mean! Hello is the story of a few call center employees who are unsatisfied with their lives. As someone who has worked in call centers, the problem I’d had with the novel was that the BPO industry was paraded as a mecca for non-achievers, have-beens and useless people. Its certainly not the case. The characters in the film are pissed off with their lives till they get intervention in the form of a call from God. I do not have the patience to explain what happens before or after that. Coming back to the film, the trademark cynicism is missing. Director Atul Agnihotri doesn’t care if you like the characters or not. I cant say much about the performances because most of the star cast seems to be sleepwalking through the film. Sharman Joshi is the saving grace and seems to have a penchant for holding his own in otherwise bad films. This is one instance when I say don’t judge a book by its movie.